Next week my article about the New York Coat of Arms will be published in the Auburn Citizen. The laws and regulations behind our State Arms and Seal could not be covered in full due to space restrictions, so I thought readers may enjoy some of the resource links about the Arms that is used in our State flag. 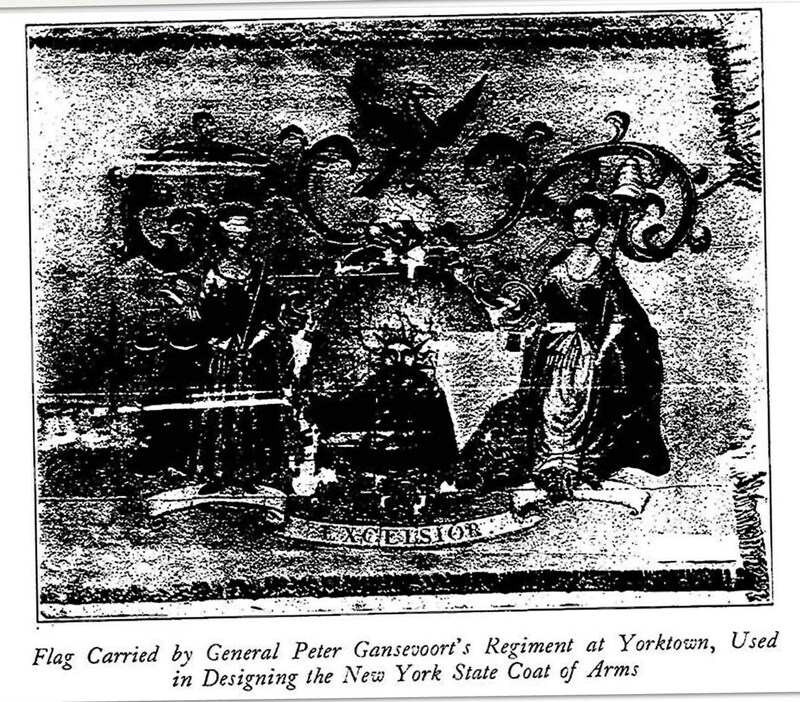 I was inspired to write the article after finding reference that the Coat of Arms was used in Gansevoort's 3rd NY regimental flag that was carried at Yorktown during the revolutionary war. The beauty of our flag has always interested me, but my knowledge of its history was limited. There are many claims of the flag that belonged to Col. Peter Gansevoort’s 3rd New York Regiment. Some site that it was the inspiration of our State Coat of Arms. Photo from Albany-A Cradle of America.by Francis P. Kimball, Printed by the Argus Company 1936. It has also been claimed that this flag was in the collection at the Albany Institute of History and Art. After contacting them, they granted use of a photo of their flag for my Citizen article and it has slight variations of the flag pictured above, indicating there was a flag previous to their flag which dates between 1790-1797. The correct arms of the state of New York, as established by Law since March 16, 1778 by Henry Augustus Homes, See Page 22, where it is recorded that Col. Peter Gansevoort issued a proclamation in 1864 that the 3rd NY was flown at Yorktown. 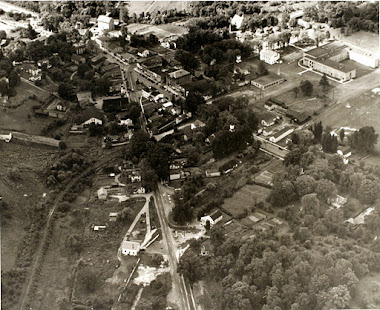 Gansevoort himself was not there due to consolidation of regiments, he was returned to command the Albany Militia as a Brigadier General. The 3rd NY was best known for its defense at Fort Stanwix. Soldier Ashbel Treat who was pensioned from Mentz and buried at Pine Hill in Throop testified he marched to Fort Stanwix but the dates on his muster cards indicate he arrived after the famous battle. The Revolutionary War flag did not "create" the Arms, it simply used a variation. The fact that it was used on the regiment flag of the 3rd NY does provide me with a greater appreciation of what our State flag stands for. Our current State flag is inspired by this historical flag of the American Revolution, from the Arms that were adopted in 1778.